Place hot chocolate powder, sugar, milk and ice in a blender. Blend until smooth. Pour into your temp-tations® figural angel mugs. Top with whipped cream and chocolate sprinkles if desired. 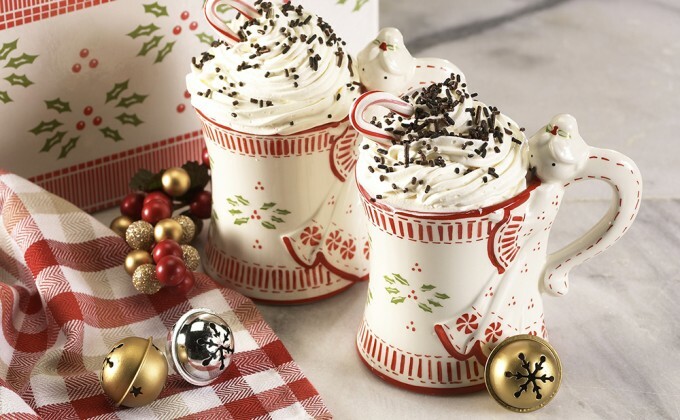 Garnish each mug with one mini candy cane.